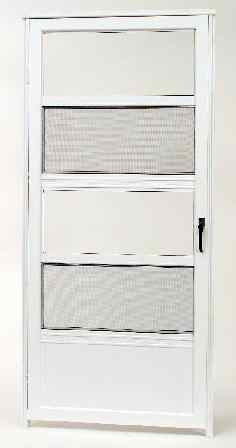 The Columbia Cobra Twin-Vent aluminum storm door has a 1-1/4″ master frame. Double-track door with removable inserts. Available in natural aluminum and almond, black, bronze, sandstone or white baked-on enamel finish.